Due to the advanced analysis software, the BMF is among other things in a position to identify mass accumulations in parts in more detail and to optimize component geometry with regard to both distortion and cycle time. The components can be simulated even more precisely and any possible problems eliminated. 30 further state-of-the-art temperature control units elaborate the Variotherm process control. This entails working with an increased mould temperature (> 140 ° C) and abrupt cooling. 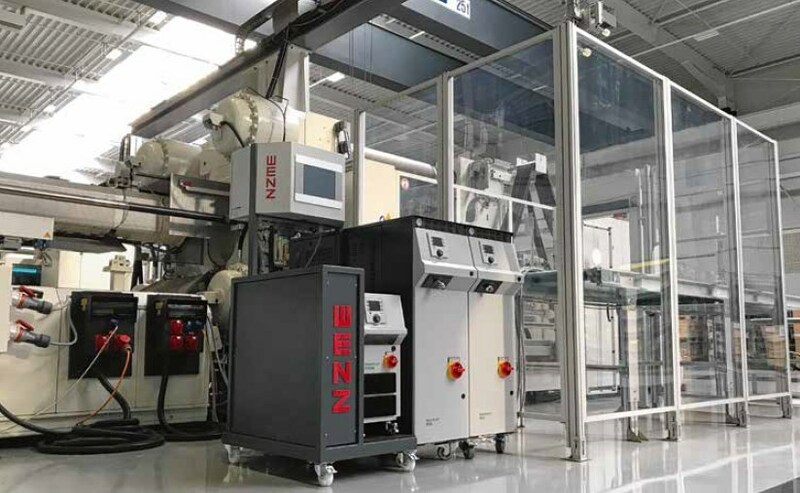 The main advantages are better high-gloss surfaces, less distortion in the components, low-tension injection, fewer weld lines and reduced cycle times. The BMF combines outstanding quality with the best energy balance, as it takes applicable requirements into account at an early stage in the development and construction of plastic components and injection moulding tools. The energy demand is, in particular, of great importance in the case of the wide range of machines with clamping forces of up to 2,300 tons and component weights up to 30 kg.